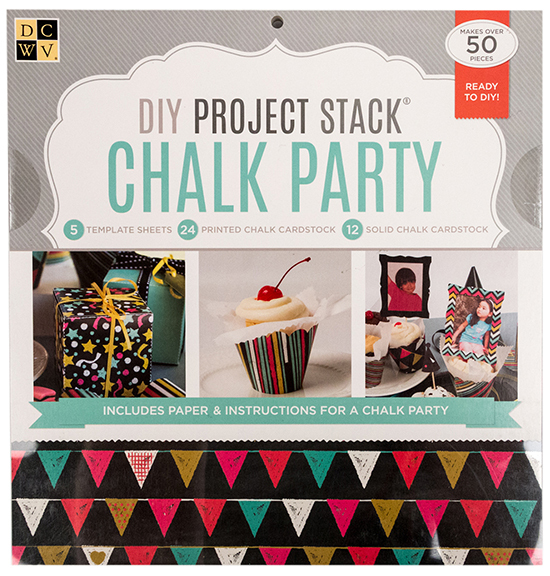 The bold prints and solids in the chalk party stack will make fabulous cupcake wrappers, party hats, photo frames, cupcake toppers, favor boxes, and more! Bring on the party! Don't feel like making the items on the cover? Not to worry--use the prints to your liking!